I am retiring! Sometimes it is helpful to step into the fantasy to pass through the reality. I will be firing up this blog again, as I start a new phase of life. Thank you for all the good wishes and kind words. Katy parked her 4-door Honda, and checked the alignment of her glasses in the mirror. “Four eyes they used to call me”, she spoke to her reflection as a smile teased at the corner of her mouth, freshly painted with Four Roses from Revlon. “All those eyes got me to today.” She stepped out onto the four sided brick drive, as four crows rose from the grass nearby, their movements balletic as they formed a four sided square of flying feathers. Katy thought, “I have to be ready for the four meetings today”, as she stepped into the elevator and pushed – “4”. Katy hears the elevator ding at “3” and she steps into the triangular foyer. She bumps into a stranger, and three hundred dollar bills flutter to the ground. “Are those yours?”, he asks while holding the door open. “Absolutely not! I’m sure they are yours.” Katy responds quickly, and stoops to retrive the cash before it flutters down the crack between floor and elevator. Handing the bills to the gentleman, their hands touch lightly. He is icey cold. Startled, Katy finds herself looking into crystal blue eyes, and suddenly imagines him atop an iceberg. Is this Superman’s dad, banking in my building? Shaking her head three times, she blinks, and he is on his way. Looking down, she realizes that he left one of the bills. Curling 3 fingers around her new wealth, she keeps one finger raised, as if drinking hot tea. It is only good manners! Turning to enter her office, Suite 333, she wonders what other adventures await. As Katy opened the heavy door to Suite #22, the familiar two scents from new two-tone carpet and freshly shredded paperwork wafted up. Pushing past two palms arching near the doorway, she ambled into the kitchen to pour fresh coffee – adding two packets of sweetener and two dollops of milk. She fired up her computer to find a greeting from one of her two best buddies in the OTHER sunshine state (there are two). As she reviews her 2 pages of emails, she is processing that life changes come along, whether planned or unplanned. She pulls the now crumpled $100 dollar bill from her purse and thinks that there are at two things she could do with it. But, for now, she approaches the two main tasks for the day – sorting and writing. Abruptly, she realizes that the office has fallen surprisingly quite. A power outage – since her computer has two batteries and two backup sources, she can still see her screen. Then it starts – two small rumbles, two jolts. Two more and dust falls from the ceiling. Awkwardly Katy ducks under her cubicle “desk” as her coffee slides off onto the floor, splashing both of her shoes. She debates reaching up for her phone – yes, it is worth it. Katy looked out the window at the Southern CA sky – one small fluffy cloud and one lazy crow high in the atmosphere. You would never know that the prior day had been so unsettling. She turned back to her single mug of coffee, and swirled the one remaining swallow before doffing it. The stain on the carpet had been removed from the prior day, and it was as if life had never been shaken up. After one decade, she was down to one day, just a few short hours. Ready or not, the large door would swing shut and she’d have her last single box of goodies to take to her car. But first, she had notes to send to some of those who had made the journey memorable. She thought, “one more thing, one more thing”, but soon there would be NONE. Would she leave after her final interviews, after handing in her key? Or linger, sorting through folders that no-one else was very interested in. Too soon to know. Ah, one more thing….she pulled the one-hundred dollar bill out to gaze at it again. She thought about the places and people it would meet. Well, she had people to see and places to go too, just not here, not ever again the same way. Thousand Oaks Toastmasters – Chartering Soon! New Members – coming, liking, joining, coming every week. New Members – coming, liking, joining, disappearing locally. Guests – coming, finding a reason why the meeting doesn’t work – such as too small – I feel like saying, hey, we’d be bigger if you join, and bring a friend! This is a chance to help shape a new club! Continuing Members – going through events that mean that they can’t come NOW but are still committed. My thanks to these members and friends. I feel we have a duty to hold the club open and vibrant for when they come back. A bit like keeping a candle in the window, except that behind the window we are having fun, supportive meetings serving our members. Continuing Mentors – Shout out to Al and Elisia, as well as Blake and Ed who have helped to create the atmosphere of a Toastmasters Club as we grow into our Charter Strength. Backbone Members – Our original member, Brad as well as my co-designer, Elsje, have created a space of enthusiasm and purpose. This club would not have made it to this milestone without you both!! Now is the time to complete this Charterling Journey and reach Charter Strength. We are 5 members shy of the needed goal. If you are a Toastmaster, and can find your way on Tuesdays at Noon to the Thousand Oaks Civic Center, 3rd Floor, Oaks Room, you will find a warm group. A mix of experienced and new Toastmasters are working the program and making a difference. Visit us and decide if joining with us would be a service to your own growth. In attendance are up to 4 past and current Area Governors, who are happy to provide support and Coaching to you. If you are a non-Toastmaster, we’ll just say a FUTURE Toastmaster, you don’t need to RSVP, just Come On Down. We are a very friendly group, and include among our members more than a few working to overcome that “gut level” nervous feeling that can hold you back, professionally and socially. Join us, and we’ll work on it together. Not through analysis, but through just Doing It, and hearing people applaude you. I’ll be happy to answer any questions or concerns you might have, before you visit. On Saturday morning, 4/6/13, as the mist burned off, several members of the Thousand Oaks Kiwanis Club joined me in setting up for an event. Not just any Saturday, and not just any event. It was Kiwanis One Day… each year every Kiwanian is asked to serve on the same day, which this year is April 6. My club decided to do 2 projects this Saturday, so I had about 15 Kiwanians, wives and friends as well as younger folks ready to do our project. The younger folks are members of Kiwanis Builders Clubs and Key Clubs. They brought that special enthusiasm that comes with being under 20. The Priority One committee is one of about 10 standing committees – our charge is to serve the youngest in our community. We focus on 0 – 5 years old “awww” and try to make a difference for them. Last year, our event was very well attended by Kiwanians, and called “Gardening for Growth”. We planted two long veggie beds with a variety of little plants, as well as putting up a big Teepee made of sturdy sticks. This project was well received, and a big success. This January, the committee grew from 2 members to 5. We put our heads together to design a worthwhile event. Reading! Yes, encouraging reading makes wonderful sense. The brainstorming continued as we designed the event that came to life a few months later. We would ask for donations of books for young people, but we needed more. Ah, Face Painting, a Drum Circle and even ID kits for parents. Add some snacks and water, and we were in business. We were delighted with a donation of 200 books from the Molina Foundation. Bob, the co-chair, made the trip south, near Long Beach to claim the wonderful gift. We also enjoyed donations from the Builders Club, and numerous Kiwanians. We were ready!! We set up three tables of books, based on age group. We put out the ID kits, and set up bucket and drumsticks. One of our members, my Sponsor, Steve, is actually a drummer! All morning, he displayed a simple technique to the kids, who LOVED it. One young fellow earned a pair of drumsticks to take home – sorry Mom – and was grinning ear to ear. At first, it was quiet in the park. The Director of the local Neighborhood for Learning schools thought hard, and donated some materials for the Builders to create some big posters to catch the eye of passing “customers”. It helped. Also, moms and dads began to use the park, and stopped by our event, staying to have a fun morning. The Builders were professionals when it came to the face painting. Arriving with their own supplies (Qtips – brilliant!) they painted many a wee face, and a few not so wee as well. I have some lovely snaps of the successful day, but somehow can’t work with the WORDPRESS format to download. I will add later. Meanwhile, her is a link to the VC Star article. Do something special for someone today – it feels wonderful! Here it is almost October. A whole summer to catch up on. After Steve passed away, we had a second shock as Laura Deng, also from our small writers group, succumbed quickly to virulent cancer, near the end of June. We were all stunned. Laura had such a unique writing voice – the imagination of a child, free and unfettered, with the wisdom of an adult about love, relationships, loss and even death. She had started an ambitious project about a little egg in the windowsill surveying life, with voice and animattion to carry the full message, that she was not able to complete. However, many lovely short stories were finished along the way, and will be part of her life legacy. RIP my friend. On July 1, i started my new role as Lt. Gov. of Marketing for District 33 Toastmasters. I will be sharing more with you, but simply put, my responsibility is to assist our District to grow new clubs and memberships. We have numerical goals: 8% growth in members and clubs, and 1/2 of our clubs distinguished. On July 1, the incoming District Governor, Jesse, wed his sweetheart, Dana. He generously invited many of us to be part of the celebration. My favorites; Purple everywhere, balloons and little penguins for the bride and groom on top of the cake. At the event one of my friends teased me: “How many clubs have you started?” I replied, “oh, about 6.” “I mean since your term began.” “Today? None today!” He basically called me a slacker. Now, 3 months into the term, we’ve saved a few clubs, but have not started ANY. Zero. I have big plans, folks, I jsut need to find a way to help the Area Governors to feel empowered and confident enough to go out there and start a club. In July I was also elected to the board of directors of my Kiwanis Club. Honored. Just last week I received an award I am proud of – Rookie of the Year for my club, that is now over 100 members. I am so happy that I found a different sort of organization to be involved with. Have our events are to serve the community, and the other half are to set up fun events that people pay for, to fund the first events. Honestly. both are fun and fulfilling. Expect that Kiwanis will be part of my life for many years to come. I’ve been traveling more than an encylopedia salesman. Vegas (three times), Orlando, Denver and Honolulu (twice!) this summer. Back from Vegas today, I’m happy that the rest of the month is all car trips, although one of them is… back to Vegas. On the lighter side, I have discovered that my naughty kitty has been peeing in paper bags that he finds on the floor. I have already nailed down that he likes: bathmats, feathers and laundry baskets (with dirty or clean laundry, mine or a guest’s). As a result, he’s not welcome in the bedrooms, and feather pillows are in the closet. I’ve let go of the luxery of bathmats. Now, he’s alerting me that I has better clean up my act regarding randomly putting “stuff” in a bag and forgeting it. I am thinking of him as an anti-hoarder. As we find our footing with how to encourage new clubs to sprout in District 33, I’ll keep writing. We all help each other. Meanwhile, keep well and enjoy the fall weather. Dr. Steve Borowsky passed away suddenly at the end of April. He was only 71. He will be remembered by me for his kindness, his impishness and his ear for the English language. Steve was a member of the long-running Ventura writer’s group that meets every Friday night, and that I have frequented for the last 8 years. He was a loyal participant, driving further than the rest of us to regale us with a new or revised chapter of his novel. In his critiques, Steve was mischievous and meticulous, always looking for a nuance that the writer may have missed. Steve also had a musical ear, treating us recently to stories of his efforts in song-writing and producing. 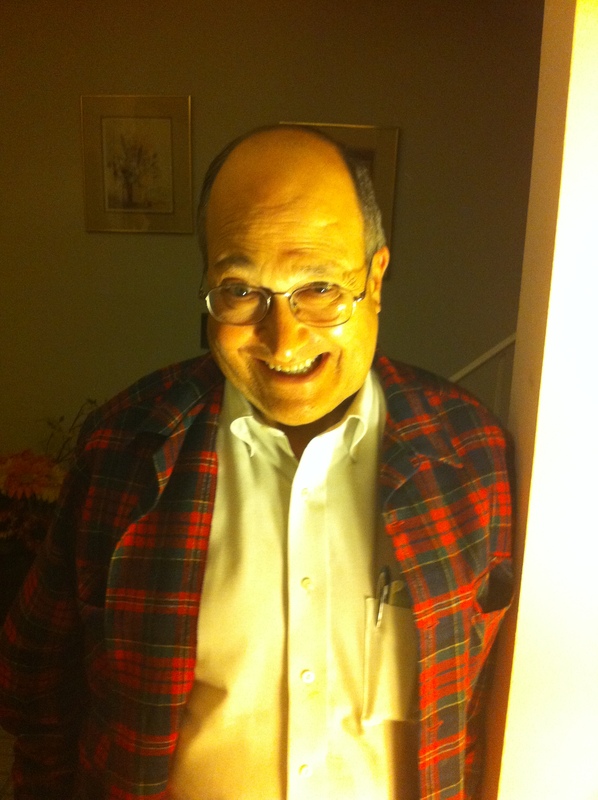 Dr. Steve Borowsky, Dec 2011, with a twinkle. It is interesting what we leave behind when we pass suddenly. Steve left a novel that was the best work he had done with this group, and that was approaching its completion. His main character was an ordinary Joe, named not Joe, but Ed. Every week we’d gather, and ask what Ed was up to. He was a gentle soul, who liked the ocean, and had not had a date for quite some time. Ed was a government employee, who was a health inspector. As his story progressed, Ed was giving a case where a Japanese businessman had died unexpectedly, after eating at a well-respected restaurant. The novel gained momentum as the mystery deepened, with various hypotheses offered and tested. One of the suspects was a lovely woman, who seemed to have a motive. Ed found her quite enchanting. He continued his investigation, proving the innocence of his suspect. Just as he was beginning to run out of excuses to interview her again, they realized that they both had a love of music, and spent a chapter at a delightful symphonic concert. Steve kept his characters at arm’s length, while his writer pals were basically yelling, “Kiss her, Ed!” Now Ed may remain forever innocent, forever under the hypnotic spell of early love. Steve, you grew so much as a writer while we knew you, your characters becoming richer and multi-dimensional in front of our ears. We will miss your twinkle, your laugh as you pointed out some wonderful verbal reverberation or withheld “the next twist” from us. It is people like you who epitomize the best in us. The gift of your life will live on in each of your writer friends. May your soul rest in peace, Steve. 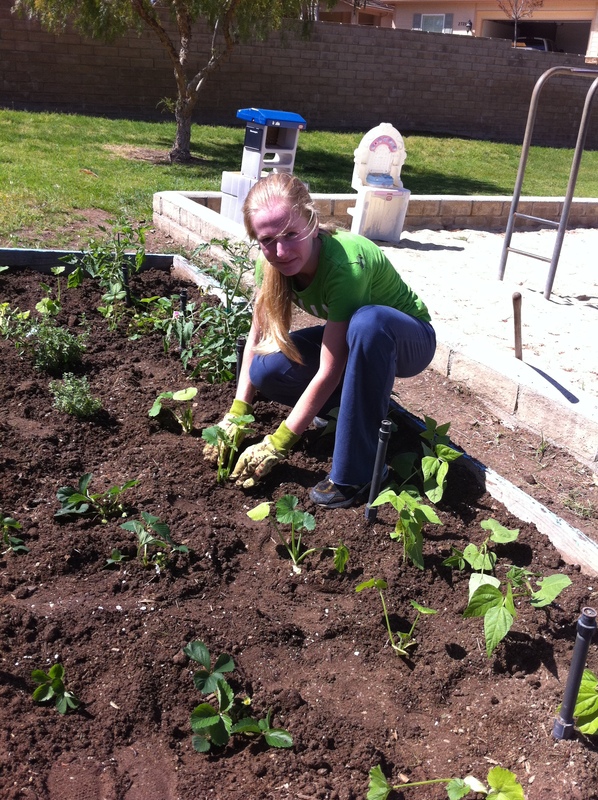 Gardening for Growth – Kiwanis One Day project Big Success! 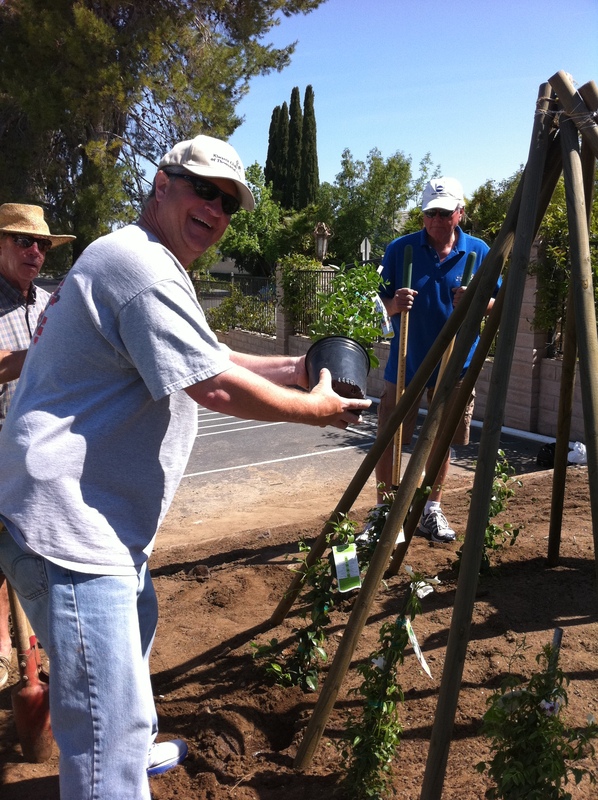 On April 28, 2012, members of the Thousand Oaks Kiwanis Club, supplemented by family and friends, took on two projects as part of Kiwanis One Day. Once a year, worldwide, Kiwanis members dig in for a day of service in late April. The T.O. Kiwanis Club decided to assist two local schools, the Neighborhood for Learning at University Center and Horizon Hills School. This was my first undertaking as the Chair of our Prioirity One or Major Emphesis committee. When we originally advertised the event in the club we had a handful of volunteers, but as we got closer to the date, President Bob Engler declared the gardening project the club’s Kiwanis One Day event, and the members jumped to sign up. At the Neighborhood for Learning location, the morning’s tasks included filling two vegetable beds and building a wooden teepee, with starter vines, which will grow into a shady spot for pre-school youngsters to enjoy. The vegetable beds were meticulously de-weeded, soil enhanced and filled with plants ranging from beans started by the children in cups weeks earlier, to tomato plants to strawberries and herbs. The plants were selected to display a variety of growing patterns, and for producing fruits and vegetables before the children break for the summer. The teepee crew started by flattening the soil in a spot to the side of the children’s playground. Ten sturdy poles were sunk deep into the soil, leaving a wide opening for easy access and supervision. Two foot tall white and pink flowering Jasmine vines were planted between the poles, and will be trained to grow up the sides, filling in the open spaces. Picking up shovels and rakes were members of Thousand Oaks Kiwanis Club and family members, Janet Fleming the Director of Neighborhood for Learning and two enthusiastic staff members, Brianna Lindberg the incoming President of Newbury Park High’s Key Club, and Nicole Clarity a reporter from ParentClick, a local e-magazine. With over 20 eager helpers, the work was completed in just over 2 hours. At the Horizon Hills School, about a dozen volunteers were lead by committee member Gloria Dyok. The crew including Kiwanis Club members and kids, school parents and more kids supplemented a Butterfly Garden which was one of the Club’s 2011 major projects. The garden is doing so well at attracting our delicately winged friends, that this year Kiwanis members pulled on gloves, spread mulch and extended the garden with additional plants to entice additional wispy travelers to stop by. The Kiwanis Club of Thousand Oaks is one part of Kiwanis International, a global organization of volunteers dedicated to changing the world, one community and one child at a time. The Kiwanis Club of Thousand Oaks performs many community service projects in Thousand Oaks to help serve children. If you are interested in performing community service and helping local children we encourage you to learn more about the Kiwanis Club of Thousand Oaks – we invite you to join us for a meeting. Visit our website at: http://www.tokiwanis.org for more information. 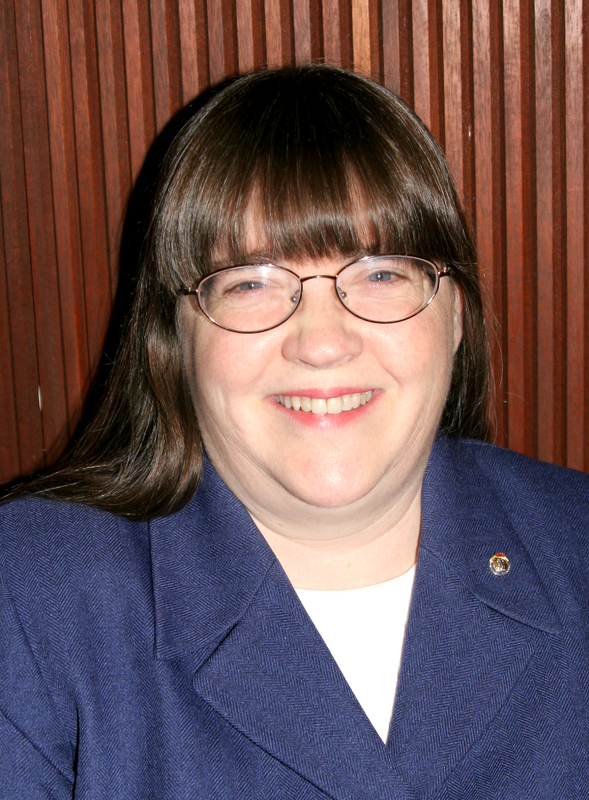 Several people have asked how voting works for District Officers in Toastmasters. Below is a TOP TEN LIST for you, on proxies and voting for District Officers. If you have further questions, leave a comment and I’ll get back to you. Happy Voting! Oh, yes, Vote for Katy for District 33 Lt. Gov. Marketing! #10) All clubs have a total of 2 votes – these belong to the President and VPE of your club. These two may choose to vote their own ballot or to give a PROXY to another member of their club. 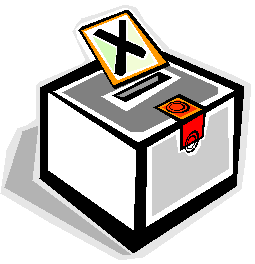 #9) All District Officers have a vote – they have to be present to vote, and cannot proxy their vote away. District Officers include Division and Area Governors. #8) Only club members in good standing (paid up) can use a proxy for that club. It could be a long time member or brand new recruit, but they must belong to the same club as the officer signing the proxy to them. #7) Each human can carry a maximum of TWO club ballots, and if a District officer ONE MORE ballot for their office. #6) To receive a ballot, you need to go to the CREDENTIALS desk, prior to the Business Meeting. You can get credentialing done when you register for the conference, or at posted times during the meeting. The Credentials Desk is generally closed, all in all done, long before the business meeting starts. Why? Because the Credentials Chair has report a variety of Statistics at the Business Meeting, so they need to close the books and get ready for the meeting. I know because I had that role, 2 years ago. #5) Proxies are “generic” not numbered. You can get a copy from the Westword Magazine, which is posted on the District 33 website. Go to the last page of the mag, and copy the proxy from there. #4) To help your club, ask your President or VPE if they know about how to vote in the District Business Meeting. If not, point them to this blog, or ask them to speak to their Area Governor. Each club should be represented, and the members can help make that happen! #3) The business meeting requires a quorum to be met to be able to conduct business. Meeting the quorum is done through counting the number of ballots handed out and comparing to the number of clubs and number of eligible District Officers. Each club that participates takes us closer to meeting the quorum. For the last several years (I’ve been attending for 6 or 7 years) District 33 has always made our numbers and met the quorum, but sometimes the margin is closer than you’d think. COME TO THE MEETING or HAVE YOUR PROXY CARRIED to have your club’s vote count toward the quorum. #2) Don’t confuse voting at District, which we are discussing here and voting at the International Convention. Totally different deal with different rules. We can discuss when we get closer to August. #1) If you are going to your District Conference, see if you can participate in the business meeting by carrying one to three votes. It is a privilege to be one of the Toastmasters contributing to the conversation, and voting. I would be honored to have your vote! I am ready to serve as Lieutenant Governor of Marketing with integrity and enthusiasm! Every vote counts – don’t be left out.